Westside Tire & Service is a leader in offering name brand tires, wheels, auto repair and brake services. Our well-trained staff specializes in the sale and installation of all tires, including passenger car, performance, light truck or SUV tires. Are you ready for a fresh new look for your vehicle? Custom wheels and rims are also available at Westside Tire & Service . We also offer complete under-car services, such as oil changes, brakes, shocks, struts, alignment, and transmission service. Westside Tire & Service provides these services for both foreign and domestic vehicles, and offer them at competitive prices. Please Browse through our website or Call Us at one of our 3 LOCATIONS!! 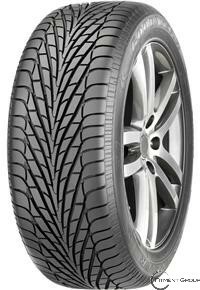 Westside Tire & Service center offers name brand tires at affordable prices for your car. We offer brands such as Michelin, BFGoodrich, Uniroyal, Bridgestone, Firestone, Goodyear and many others. Westside Tire & Service also specializes in a full line of services for your automobile, such as brakes, alignments, oil changes, tune ups and much, much more. Please give us a Call Today or Click Here to schedule an appointment. 3 great locations ready to serve you in Ohio. Find the location nearest you!